The Berry Schools write to the Eastern Shore Trust Company in Maryland to determine a signature and the name of the person so they can know who sent it. 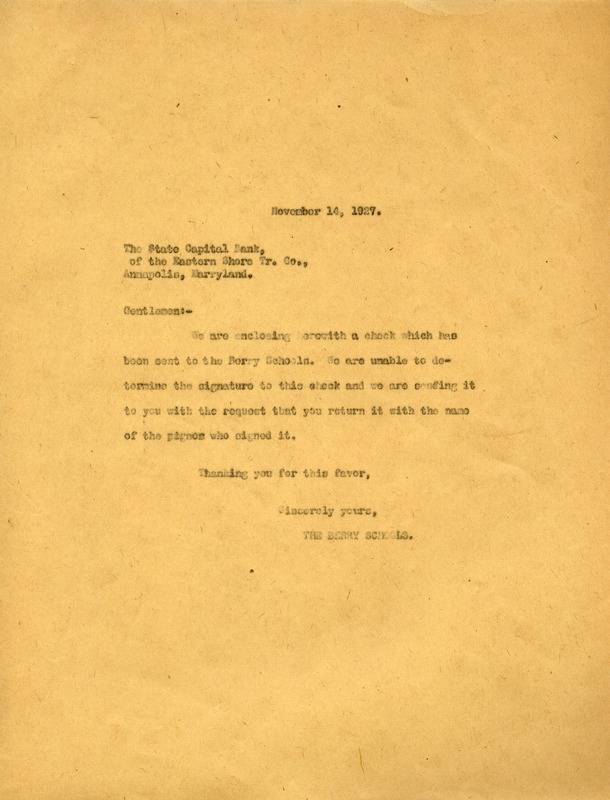 The Berry Schools, “Letter to State Capital Bank from The Berry Schools.” Martha Berry Digital Archive. Eds. Schlitz, Stephanie A., Aaron Jackson, et al. Mount Berry: Berry College, 2012. accessed April 20, 2019, https://mbda.berry.edu/items/show/5825.